Studies have shown men find the most attractive color a woman can wear is red. Studies have also shown that the brain is naturally attracted to red. Wearing read on a date night indicates love, luck, and sexiness. Red also represents power and prestige. 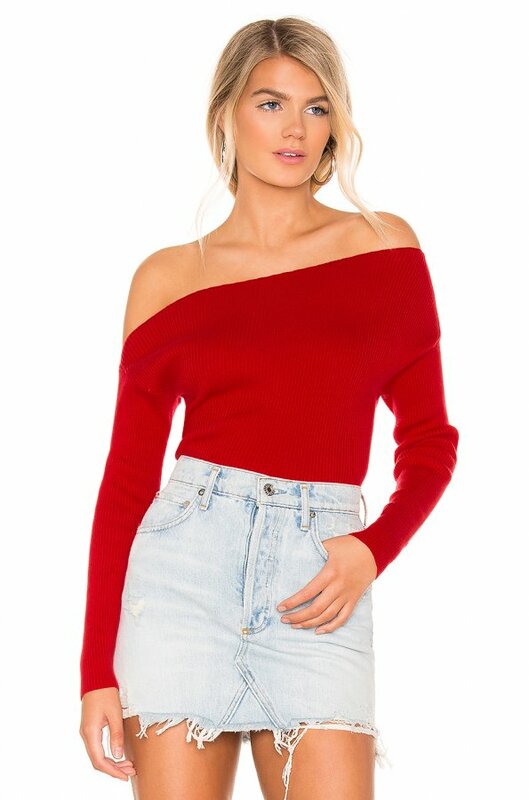 Try wearing red this Valentines day. Shop for About Us Rino Dress in Red Polka Dot at REVOLVE. Free 2-3 day shipping and returns, 30 day price match guarantee. 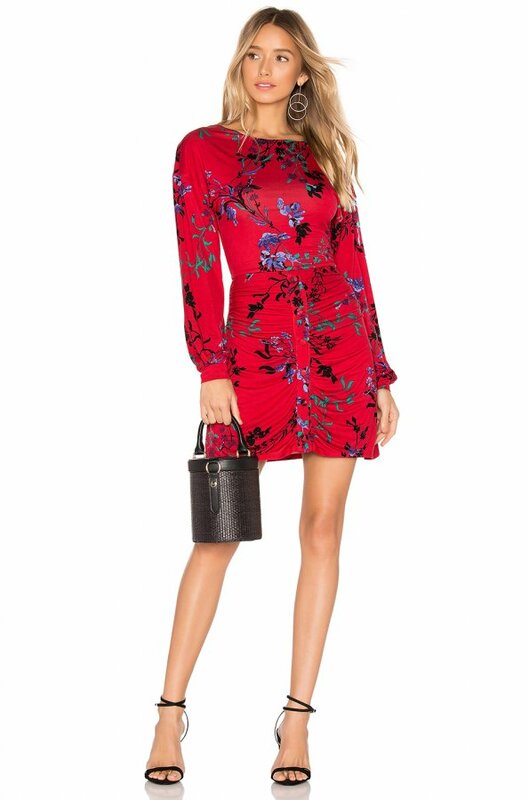 Shop for RACHEL ZOE Kennedy Dress in Poppy Red at REVOLVE. Free 2-3 day shipping and returns, 30 day price match guarantee. 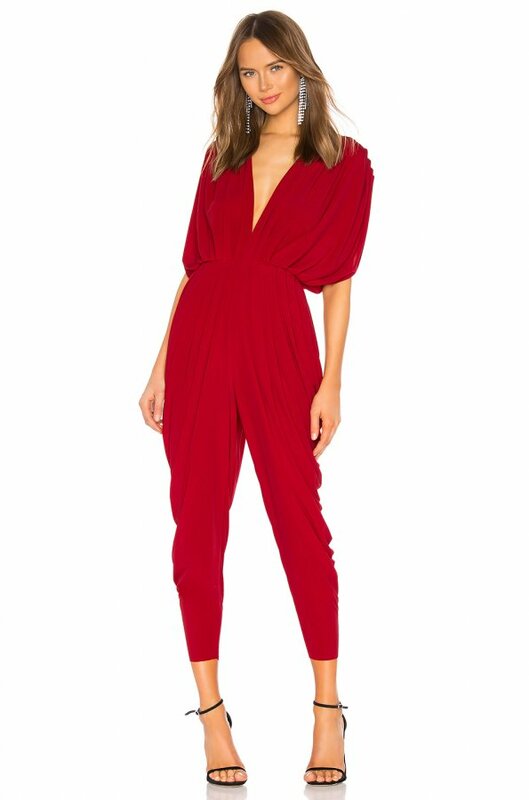 Shop for Norma Kamali Square Sleeve Waterfall Jumpsuit in Red at REVOLVE. Free 2-3 day shipping and returns, 30 day price match guarantee. 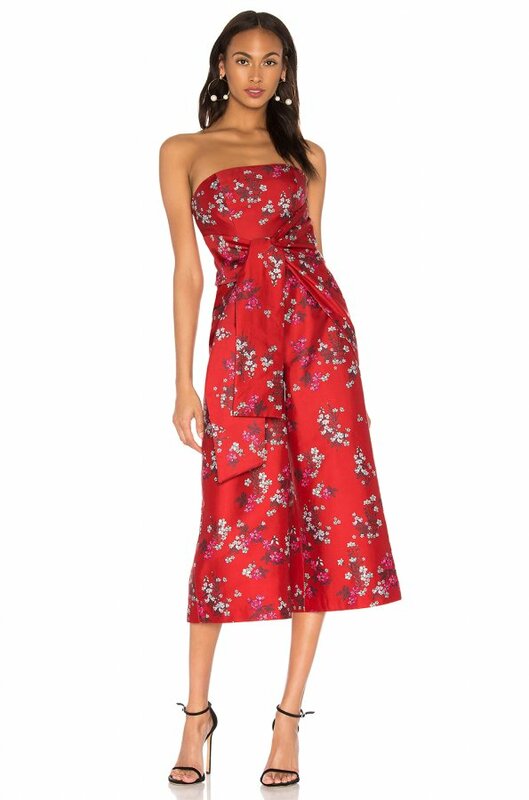 Shop for House of Harlow 1960 x REVOLVE Siri Dress in Red Fleur at REVOLVE. Free 2-3 day shipping and returns, 30 day price match guarantee. 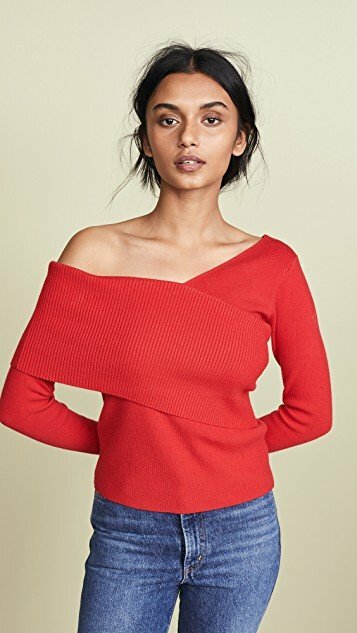 Exclusive to Shopbop Fabric: Structured knit Seamless edges Waist-length style One-shoulder neckline Long sleeves Shell: 52% rayon/29% polyester/19% nylon Dry clean Imported, China Style #LINED20273 Measurements from size S Length: 20.75in / 53cm, from shoulder A low maintenance (yet still completely sophisticated) style, this Line & Dot sweater brings a hint of modernity to your knitwear collection with an asymmetrical, off-shoulder silhouette. 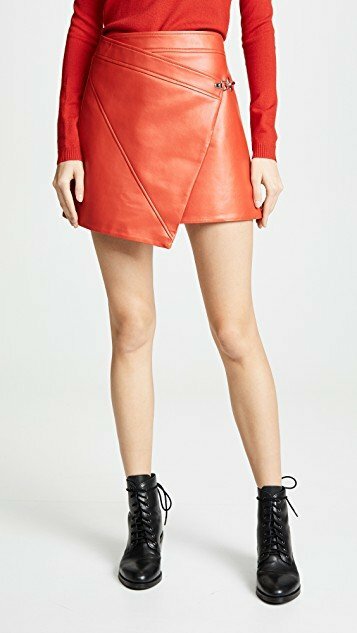 Shop for Equipment Daddy Button Down in Blood Moon Eclipse at REVOLVE. Free 2-3 day shipping and returns, 30 day price match guarantee. 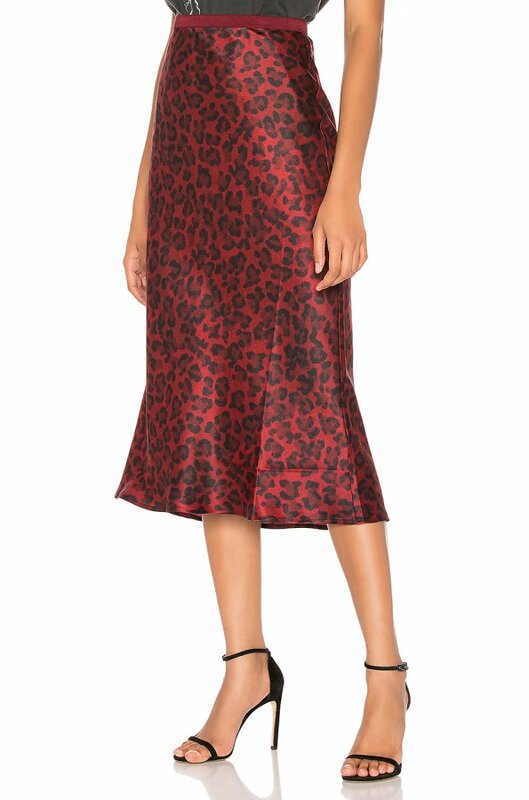 Shop for ANINE BING Bar Silk Midi Skirt in Red Leopard at REVOLVE. Free 2-3 day shipping and returns, 30 day price match guarantee. 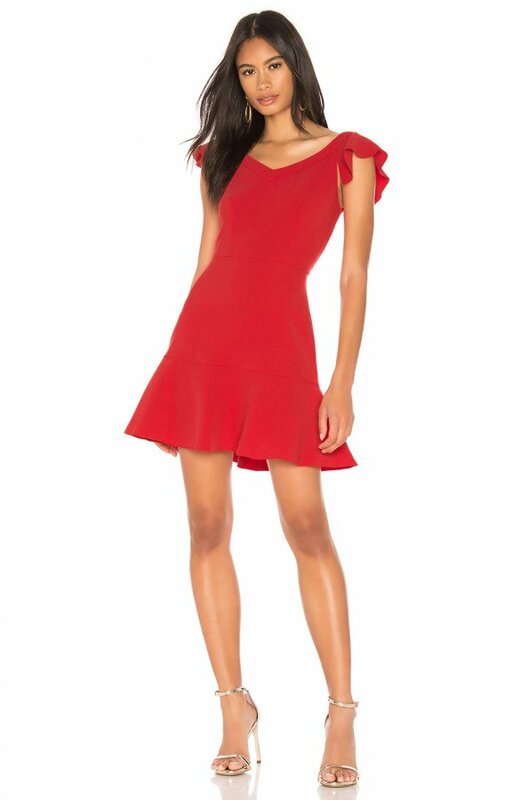 Shop for LIKELY Bedford Dress in Scarlet at REVOLVE. Free 2-3 day shipping and returns, 30 day price match guarantee.